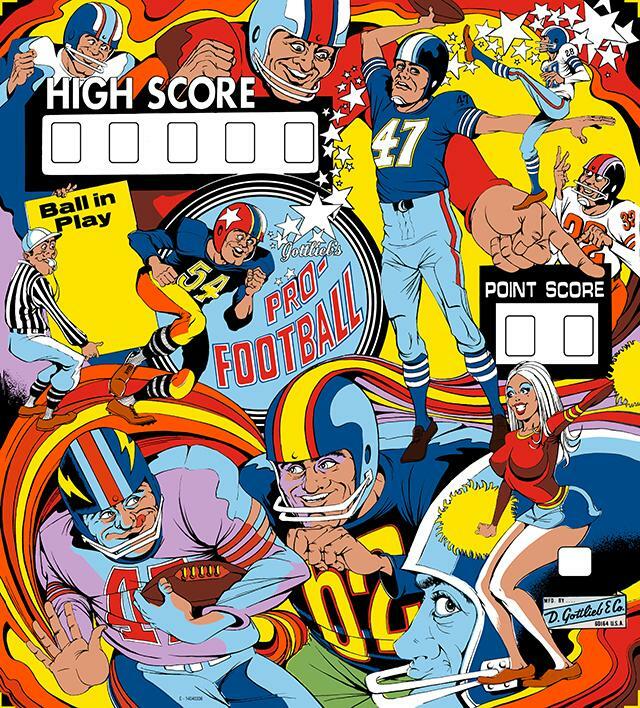 See a lot of this 1970s Gottlieb Pro Football game, and usually the glasses are in decent condition. But in walked a gentlemen to our shop with a glass that was not only faded, but peeling. So we scanned it and cleaned up the artwork, restoring his original glass to like new condition.